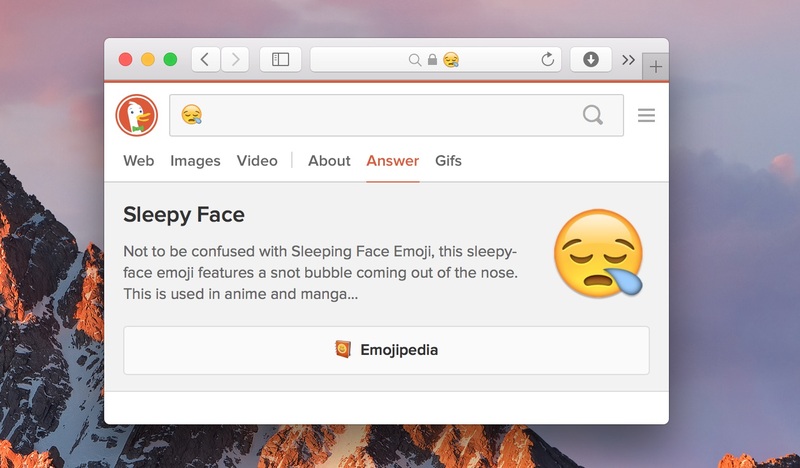 Users of DuckDuckGo may have discovered some Emojipedia integration in recent months. Type any emoji into DuckDuckGo to find out what it means, without even leaving the site. 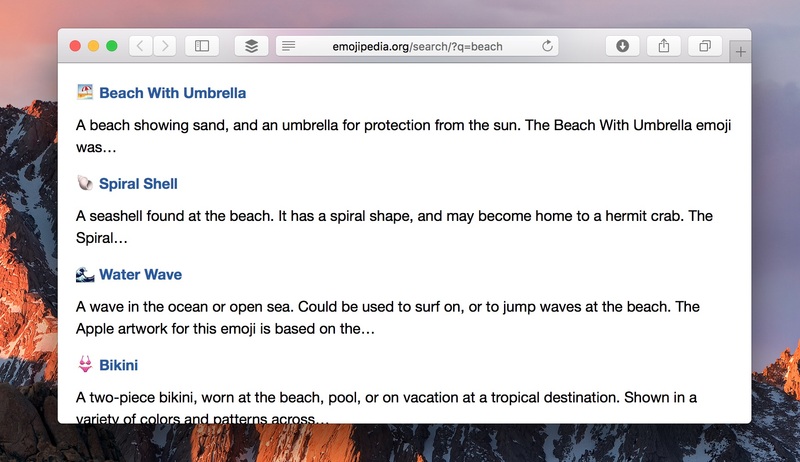 This feature was developed by Mathew Byrne and uses the Emojipedia API to pull the emoji name, description, and image directly into DuckDuckGo search results. When you need to find an emoji, use this. The results come from Emojipedia, using data from our keywords, alternative names and descriptions. Finally, a duck emoji was approved as part of Unicode 9.0. Just thought you might like to know.